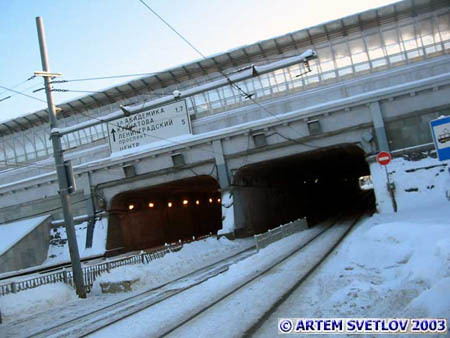 Svobody Street in the north-west of Moscow is the major link connecting Tushino district with a highway to the city centre. Tushino was a rather large town in its own rights in the suburbs of Moscow until the end of 1950s when the city limits of Moscow were expanded. The town had a developed industry including a large heavy machinery factory, and a reliable connection to Moscow was highly demanded. 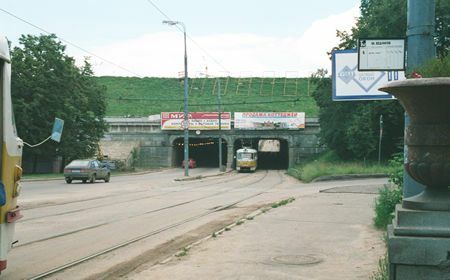 This connection was established by a tram line that was built in 1944. The revenue service was started on November 6, 1944 by route 6, and the same route operates here now. 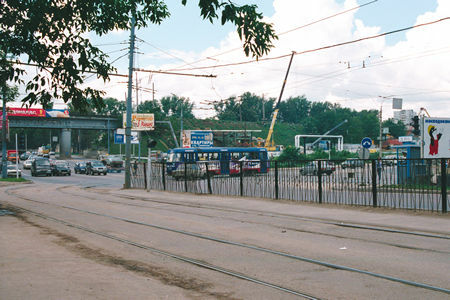 And before the intersection has been constructed, the crossing of Svobody Street with Volokolamskoye Shosse looked like this. 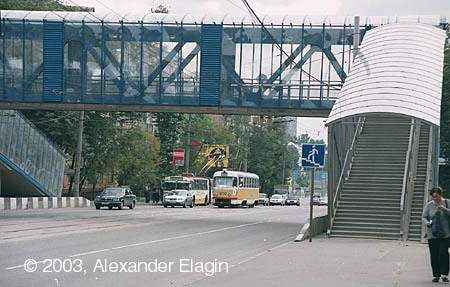 This elevated footbridge was built across Svobody Street as a part of the intersection complex. 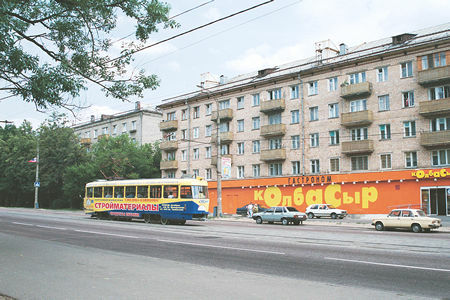 Svobody Street has a typical building of 1950s with inevitable five-storey blocks. But a new age is also clearly present here, like this renovated supermarket. The more distant part of the street has a few older buildings constructed when Tushino was not a part of Moscow yet. 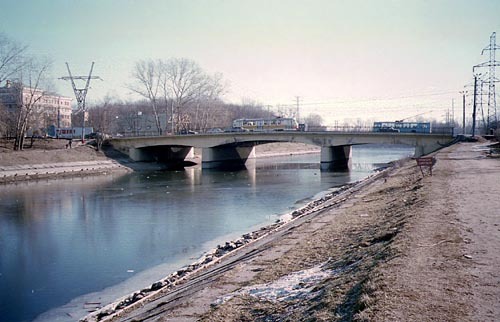 Svobody Street crosses another channel by Vostochniy Most (Eastern Bridge). 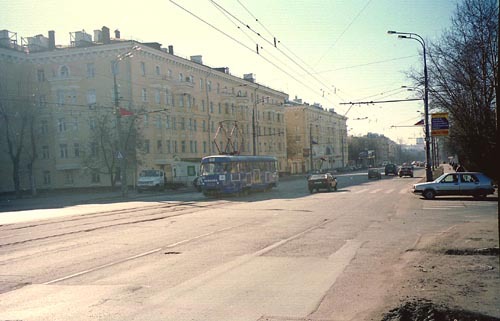 Having crossed the channel, tram tracks turn to the left and stretch along Lodochnaya Street.